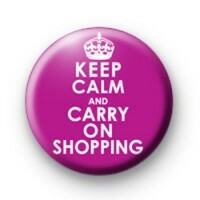 Keep Calm and Carry on Shopping Badges. Cute purple badge. Funny slogan.